So when Sebastian threatens to dissolve their years-long conspiracy, she’ll do anything to save their partnership... even if it means opening her vulnerable heart to the rake who could destroy it for good. I have to honestly admit that even though this third book was very enjoyable, there were a few things that kept it a little lower on my personal book ranking scale compared to the previous two books. Frankly, Sebastian and Violet were great together, and I loved how well they molded to each other. And while both of their individual conflicts were meaningfully parallel, the events and set up felt deliberately created to make this couple a "No one understands me better than you" type of romance. I'm not sure how to feel about it outside of a little 'meh,' truth be told. If I had to pinpoint one disappointment, it would be that Violet and Sebastian seemed like a much more amusing, interesting couple as side characters in the first book. But the ending of the second book gave me a bad feeling about them, so I wasn't really as looking forward to this couple as I would have been. Then I started into The Countess Conspiracy and ended up with conflicted feelings. Once again, Violet and Sebastian are a great couple. But I can't help but feel like the rest of the characters were purposefully placed in a bad light just to showcase how special these two were, to each other, to all of their friends, to the world in general... I mean, this book made me a little upset that I had gotten irritated with Robert for a short scene wherein he acts like a complete, inconsiderate, and insensitive jerk--this makes me sad because I love Robert! Of course, compared to all the jerk-holes featured in this book--Violet's sister, Lily; Sebastian's brother, Benedict; Miss High Pitched woman with her uninformed judgments--Robert's and Oliver's little moment of being insensitive jerk-holes were quickly forgotten, in light of, they quickly repented and were very apologetic. It still didn't make me happy though. As individuals, Violet and Sebastian were good people with very unique, promising characteristics, with lots of potential for growth. They weren't what I'd been expecting, to be honest. And as intimate friends, they were wonderful together. I loved how they fought and made up, read each other's minds at will, and understood each other without having to ask. Once again, this was definitely a "made for each other" type of romance... and while those things are sweet, they were also a bit too deliberate in the telling. And so, romance-wise, I'd have to say that while Sebastian played the dream, ideal man to perfection, Violet's own behaviors and actions were a little frustrating. These two made better intimate, soul-mate-like friends than lovers. Even knowing all the reasons behind the way Violet responds to other people, I still found the way she treats Sebastian a bit hard to agree with, especially after he'd always been nothing but sweet to her, never asking anything in return for just being able to be around her. 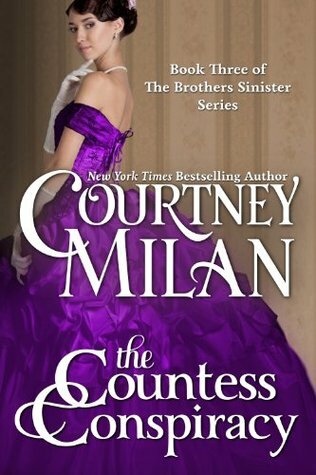 Anyway, The Countess Conspiracy is not necessarily my favorite of the Brothers Sinister series, even though it was enjoyable and easy to breeze through. Meanwhile, there were still a lot of things that happen that I'm happy with, despite those few quibbles I mentioned. So, conflicting feelings, yes. But overall, enjoyable and no regrets about continuing this series. If anything, the short moments that Oliver's youngest sister, Free, was present made me look forward to the last book even more! 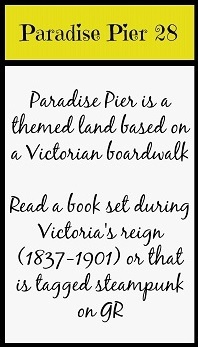 Book is set during Victoria's reign.